Should you require assistance please contact our Student Advice team. completing an International Baccalaureate (IB). completing senior external examination subjects or Certificate IV in Adult Tertiary Preparation. The selection process is based on eligibility and merit. Eligibility relates to whether or not you meet the minimum entry requirements for a course such as prerequisite subjects, auditions, interviews, and English language proficiency. Merit is expressed in Overall Position (OP), QTAC Selection Rank (SR) or Australian Tertiary Admission Rank (ATAR). If you satisfy the minimum entry requirements of your course, you will then compete for a place on the basis of your merit. Offers are made to applicants in descending rank order until all quota places are filled. Please refer to our course listings for more information about minimum entry requirements and OP/SR/ATAR rank indications for our courses. We understand everyone's circumstances are different and are committed to making education and training accessible by offering many alternative pathways to University. If you are unsure you meet the eligibility and merit requirements for your desired course, please contact our Student Advice team to discuss your options. If you choose to accept your offer, you will then be able to enrol in the units that belong to your course. CQUniversity supports you with the Enrolment Made Easy website online service to keep you on track. 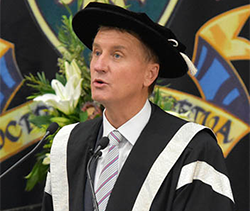 CQUniversity permits deferment for up to one year for most courses. 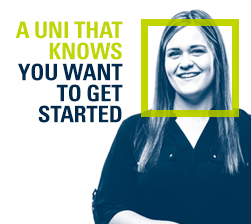 If you are eligible to defer, you will need to accept your offer through the CQUniversity system and then contact our Student Advice team to defer (you cannot defer through the TAC system). How do I apply for Adjustment Factors via the Educational Access Scheme? When you apply via a Tertiary Admission Centre (TAC) to study at CQUniversity you may be eligible to receive adjustment factors as part of the Educational Access Scheme (EAS). The aim of the EAS is to assist students who have experienced difficult and/or complex life circumstances that have negatively impacted on their studies. Provided you meet the eligible criteria for the EAS, when you apply for a course at CQUniversity via the University Admission Centre (UAC), Victorian Tertiary Admission Centre (VTAC), Queensland Tertiary Admission Centre (QTAC) or South Australian Tertiary Admission Centre (SATAC) you will automatically gain extra points toward your OP/Rank score. When you complete your QTAC, UAC, VTAC or SATAC application, you’ll be asked to select as many of the EAS categories that apply to you. Make sure you apply for all categories that are relevant to your situation – you’ll need supporting documentation for each category that you select. Non-school leaver - Do I have to apply through a Tertiary Admission Centre (TAC)? Yes, most non-school leavers who wish to study an Associate or Bachelor Degree, and some Diplomas, are required to apply via a TAC. If you study our Skills for Tertiary Entrance Preparation (STEPS) program or Tertiary Entrance Program (TEP), you may be eligible for direct entry into a CQUniversity course, meaning you can apply direct to the University (not via a TAC). Non-school leaver - When can I apply? CQUniversity offers Term 1, Term 2 (also known as mid-year) and Term 3 intakes for many courses. Term dates. Non-school leaver - What happens when I make my application? You will be able to select a number of the course you wish to study, in preference order. You should list your desired courses as your first preferences, your back up options in the middle, and your pathway courses as your last preferences. You can change your preferences before and after you are made an offer. The TAC will use the information you supply to assess your application and complete the selection process. Non-school leaver - How will my merit be assessed? If you completed Year 12 or its equivalent, have undertaken Senior External Examination subjects, studied at university, TAFE, or a registered training organisation, completed an approved bridging course, or have professional registrations or defence force service, you may be considered for entry on the basis of these qualifications. It is not necessary for you to have completed year 12 or have formal academic qualifications. 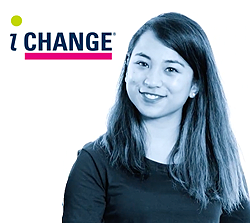 There a number of alternative pathways you can use to assist your application, including the Special Tertiary Admissions Test (STAT), Personal Competencies Assessment (PCA) and employment experience. 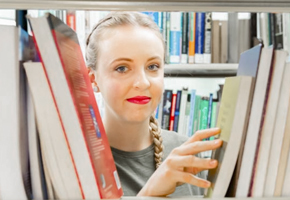 CQUniversity offers tuition-free preparatory courses, including Skills for Tertiary Entrance Preparation (STEPS) and the Tertiary Entrance Program (TEP), to assist you gain entry into university. If you are using one of the alternative pathways listed above, you are still required to meet the minimum entry requirements for a course, for example, prerequisite subjects, auditions, interviews, and English language proficiency. Please contact our Student Advice team to discuss your options.